So why run when you can walk? Fair question, and indeed there were times when we did walk. “Run when you can, walk when you must” was a maxim that Rob passed on – who incidentally was on his second crossing, this time having brought his wonderfully entertaining wife Carla. To answer the question is to describe the feeling of flowing down off Kidsty Pike, amidst strong winds and rain, at one with nature and entirely free. The feeling of soft, springy ground underneath your stride, limbs in a constant rhythm. Uninhibited in so many ways, with every movement a new achievement taking you closer to the end goal. But this isn’t a journey centred around the final destination. This is an immersive adventure, absorbing the surroundings alongside the physical challenges, experiencing breath-taking views and the moments of appreciation that forever bond you with your fellow adventurers. In the times spent not on foot, when relaxing at the country B&B’s and hotels that catered us along route, we were able to enjoy even more new experiences together, whether it be a unique local meal, real ale, the diverse evening entertainment, or simply just a good conversation. Each member of the troupe came with their own purpose and backstory to how they wound up running alongside each other on this 190 mile escapade. As a powerful testimony to how it is never too late to change your lifestyle and get active, one member had spent the majority of her life having never done any exercise, when just a few years ago something happened in her close circle that acted as a trigger. Starting with a walk to the end of her street, slowly extending to two blocks, then three, working up to a jog, eventually reaching 5k, continually progressing. Now she has a run across England under her belt! In a less inspiring story, thanks to the Melbourne school days of another member of the troupe I’m now able to say I know someone who was at school with Kylie Minogue! Luckily she didn’t spend too much time Spinning Around. Whatever journey they took to get here, each runner achieved a great success on this trip. And for myself, having done this route before as a walker, cyclist, and runner, I find myself each time stopping to take in the tremendous views, catch the way the light hits the rough canvas of the hills and glistens off the lakes, feel the power in my legs, and remind myself that this is what life’s all about. 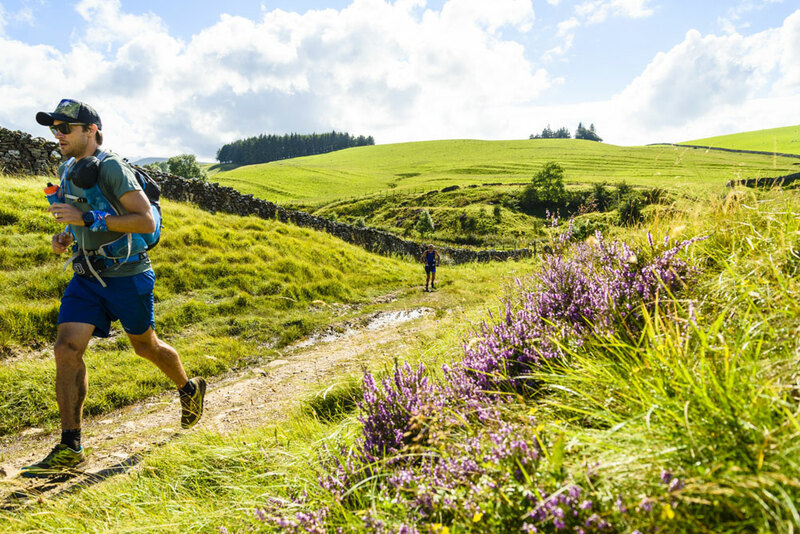 Find out more about our guided runs packages and get your journey started today.